This was Frank Field, Labour MP and David Cameron’s ‘poverty czar’, speaking at the launch of a report called ‘The Character Inquiry’ by centre-Left think tank Demos in 2010. Character today is part of a victim-blaming discourse that individualises what are inherently social problems: you are unemployed, so you need to work on yourself; those with character make it, those without, don’t. This discourse is permeated by class-based assumptions of poverty and unemployment, similar to those advanced in the nineteenth century. Policy makers use it to express their commitment to improving the lives of the ‘most disadvantaged’. Good intentions, however authentic, mask the politics of the word. It’s precisely these politics we need to challenge. Recently, the all-party parliamentary group (APPG) on social mobility published a ‘character and resilience manifesto’. The idea is to foster the ability to ‘bounce back’ among young people who are facing tough economic times. In addition, the manifesto states that the kind of ‘soft skills’ you develop, such as motivation, confidence and perseverance, will determine your ‘life chances’. These are framed as distinctively middle class qualities, attained through so-called middle class cultural experiences. Character has made headway in education policy, with both Education Secretary Michael Gove and his Shadow counterpart, Tristram Hunt, arguing for ‘character education’ in schools. In one free school, the rumour goes, pupils are made to stand in front of their desks seven times a day and chant ‘character before knowledge’ in chorus. The recently founded Jubilee Centre for Character and Values at Birmingham University’s School of Education runs research projects on character, gratitude and virtue. Its website states that ‘our central interest in moral education is… from the premise that a pupil’s character is the foundation of who he or she is and hence how well he or she will do in life.’ The funding for the project, nearly $3 million, comes from the John Templeton Foundation, an organisation that aims to give scientific credence to religious values. In welfare-to-work programmes, the same self-cultivation of ‘soft skills’ mentioned in the APPG manifesto is touted as the way back into work. Claimants are sent on training courses that encourage them to work on their personal and interpersonal skills as a means to become more ‘employable’. They are instructed to consider themselves as a brand, like an iPhone, that needs to be aggressively sold to potential employers. Where character is not instilled in employability training, the government believes its programme of unpaid, forced work placements, such as Mandatory Work Activity, will deliver the necessary self-discipline. In the economic downturn the competition for jobs has been high. Almost four people have been chasing each vacancy across Britain, rising to more than 20 in some areas. It is distressing for unemployed people to be told that their main ‘barrier to work’ is their own attitude. For the government though, character-building and positive thinking workshops are much cheaper than serious training opportunities. The idea of the voluntary unemployed fits with its rhetoric of ‘shirkers and scroungers’ and distracts from the idea that unemployment has structural causes. This renaissance of character in education, welfare and social mobility needs to be examined and understood in terms of the history of the word. What is the significance of the contemporary appeal to a nineteenth century concept? Is it being used in a similar manner, or are there important differences revealed by its coupling with the latest policy buzzword, “resilience”? Where precisely is it operating, who is it aimed at and to what effect? It is incumbent upon those interested in discourse and its role in government and social policy to ask, and to answer, such questions. Frank Field is not wrong that character formed the basis for many perspectives of social problems in the Victorian era. Social reformers argued for the role of character as an explanation for poverty. They admonished working class people for their lack of foresight, their intemperate habits and their disinclination to save. It was a flexible concept, used by people across the political spectrum and many religious movements. Ultimately though, it isolated the problem of unemployment and poverty as an individual failure common to those of “lower” class. The longevity and malleability of character, and its diverse history of users, suggests that it can perform, and is performing, multiple roles. Today it is often wrapped up in the zealous preaching of positive psychology – Smile or Die, as Barbara Ehrenreich has put it. It has not shed its class-based assumptions though, and parallels with Victorian opinions are not unfounded. We need to do more to understand how it is being used, by whom and to what end, especially if we are to combat it. 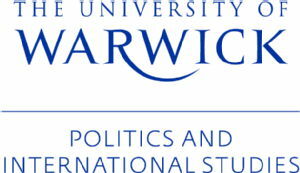 Nick Taylor is a PhD candidate in the Department of Politics and International Studies at the University of Warwick. His research examines the relationship between the history of economic thought and the history of relief and welfare in Britain from the late-19th century onwards, specifically exploring the relationship between moral and economic reasoning. On the coalition’s rhetoric of ‘shirkers’ and individual responsibility see Prof Matthew Watson’s post on Orwell, Osborne and the ‘undeserving poor’ over at SPERI: http://speri.dept.shef.ac.uk/2013/02/19/orwell-osborne-undeserving-poor/. The “fix-the-kids” objection to character education is well-known. However, all forms of character education, except for some ultra right-wing U.S. ones, aim at the reform of social structures. Regarding our funding, it is true that the John Templeton Foundation supports various religious projects. However, it also funds a number of moral and character-based projects such as our own which have nothing to do with religious values whatsoever. Thank you for your comment. This piece was designed to ask some questions about the use of character in several areas, as a malleable concept with a long history. My interest comes from researching the use of character in the Victorian era, especially in economic thought. While critiques may be well known in education it seems that very few outside of education are talking about character and little has been said about its entry into other areas, such as welfare policy. And of course it is always interesting to consider how such concepts are employed anew in policy arenas. I find it a depressing reflection on the state of policy-making when the debate on social mobility is reduced to thinking about how to ready young people for, and make them adaptable to, an unforgiving and precarious labour market. However, I also think that the quotation from your website above, your ‘central interest in moral education’, is indicative of an individualizing approach and not the basis for any kind of critique of social structures. Our approach to virtue in the Jubilee Centre is Aristotelian. For Aristotle, it is completely impossible to separate issues of moral education from issues of politics and good governance. This is why his Nicomachean Ethics and Politics form an argumentative sandwich, one cannot be read or understood without the other. Reblogged this on Whither Welfare?.